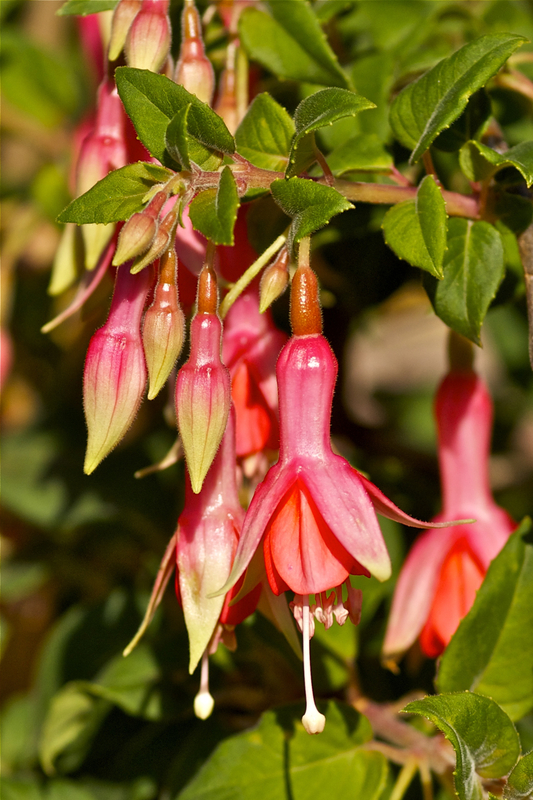 Home » Allgemein @en » ‘Alde’ is the Fuchsia of the Week 16/2015. ‘Alde’ is the Fuchsia of the Week 16/2015. This hybrid was introduced in 1988 by the Gardener Edwin Goulding from the UK, who crossbred more than 130 Fuchsias between 1981 and 2001. 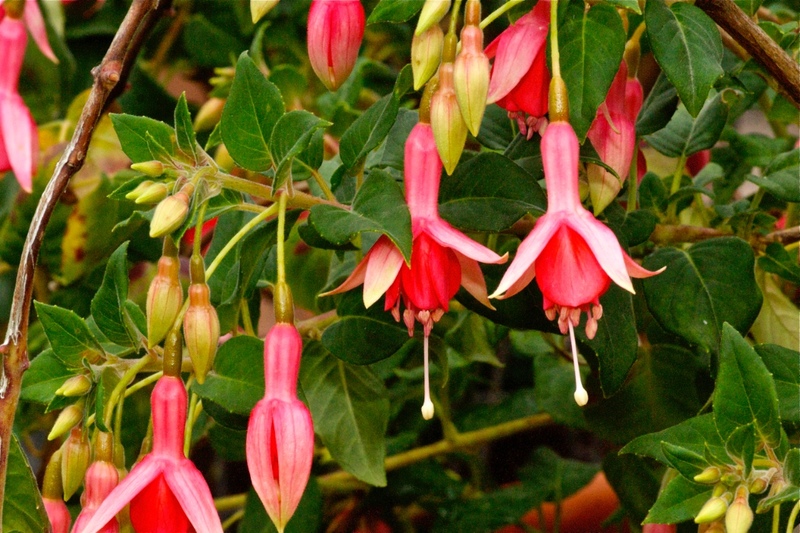 E. Goulding presented many Triphylla-Hybrids, among them for example “John Maynard Scales”, that one being the Fuchsia of the Week 37 in 2014. He lives in Easten England and is the President of the “East Anglia Fuchsia Fellowship”. He published many articles in dedicated journals and above that published on book, the first edition released in 1955, the second in 2002: Fuchsias, the complete Guide. Mr. Muolding often relied on “F. Fulgens” to experiment with, this one being as well the mother-lineage of “Alde”. The pollen-donator was “Lye’s Unique”. The tubes of “Alde” are, compared to other Triphyllas, a bit clumsy and short, and the blossoms are not solely at the tip of the branches, but also along them.The corollas are middle-sized, and the sepals, with their brighter tips, do open quite wide.Not typical as well to a Triphylla Hybrid is the semi-hanging to hanging growth, but quite typical is the tolerance for direct sunlight. Overwintering is no problem within a greenhouse. But one has to take good care to prevent it from drying out completely; that almost happened to me one time! But, for being safe, i already checked it out and are relieved: it may be still obtained at Fuchsia Michiels if need be.